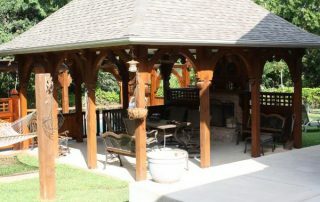 The experts from Stenson Landscaping & Irrigation, Inc. will listen to your ideas and build your new custom arbor. We have designed and installed many types of arbors and arbor swings. 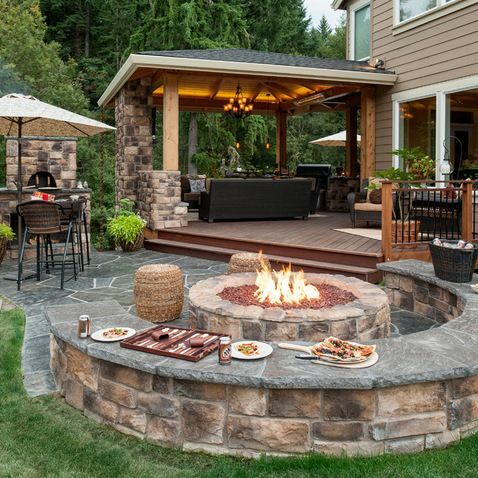 Since 1999, Stenson Landscaping & Irrigation, Inc. has been building the finest residential and commercial Dallas patio covers and landscaping. Our longevity in the business comes from our dedication to provide consistently excellent products and services on all our Dallas patio covers. By outfitting the metroplex for over 10 with years with services and products built to stand the tests of time, our reputation was built just like our Dallas patio covers — Rock Solid. 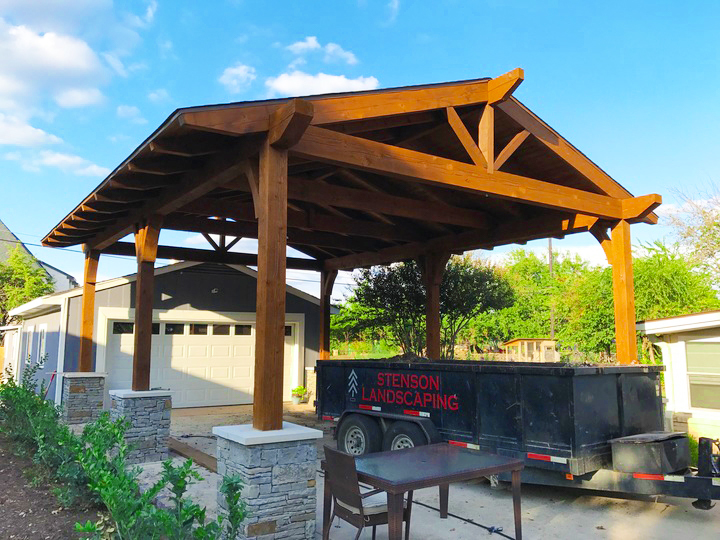 Stenson Landscaping & Irrigation, Inc. provides expert design and installations on Dallas patio covers designed to protect outdoor living areas. Weather you are looking for a solid patio cover or a partial shade cover, we can design an application to meet your needs. 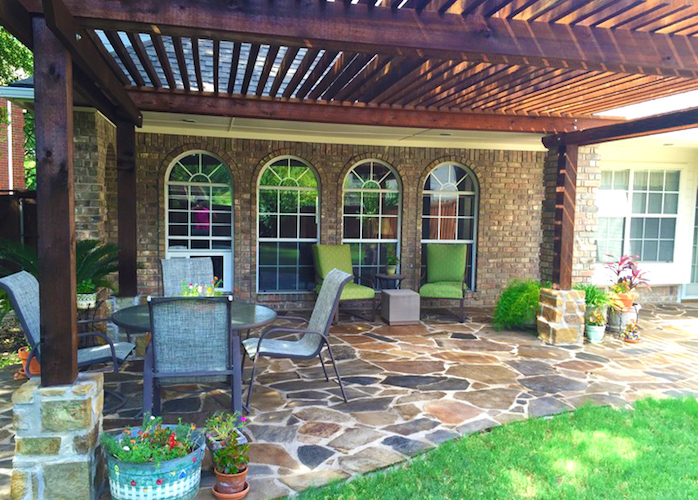 Our Dallas patio covers will protect you and your patio from rain, hail, and sun exposure. 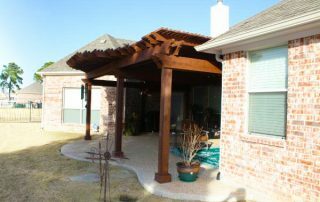 The elements in Dallas/Fort Worth can be brutal and unforgiving, but our Dallas patio covers offer stylized protection, while at the same time beautifying any home or business. 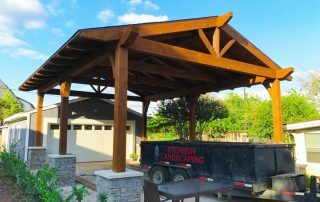 One of the experts at Stenson Landscaping & Irrigation, Inc. will provide you with a free estimate on designing and building a custom Dallas patio cover built not only to last, but to fit in with the surrounding décor naturally and unobtrusively. 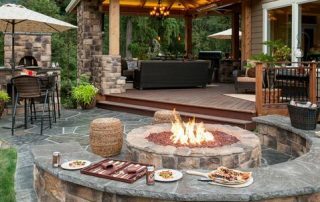 Add a custom kitchen or fireplace and turn an ordinary backyard into a luxury vacation destination perfect for entertaining guests and family. Why not protect your family and outdoor living area from teh sun and elements with a patio cover while increasing the value of your home or office?